Please select from the garage door styles below to see examples of Novoferm Garage Doors. contact us for your FREE Novoferm catalogue and/or FREE no-obligation quote. 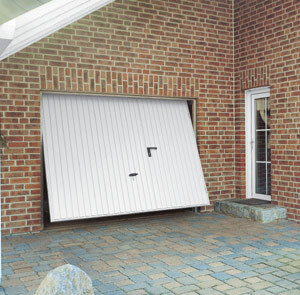 The classic up-and-over door: Rees is suitable for single as well as double garages and is available with matching side door.